Hi beauties! It's been a while since I posted something. It doesn't mean I haven't purchased anything meanwhile, I just haven't found the time to write a decent post blog. 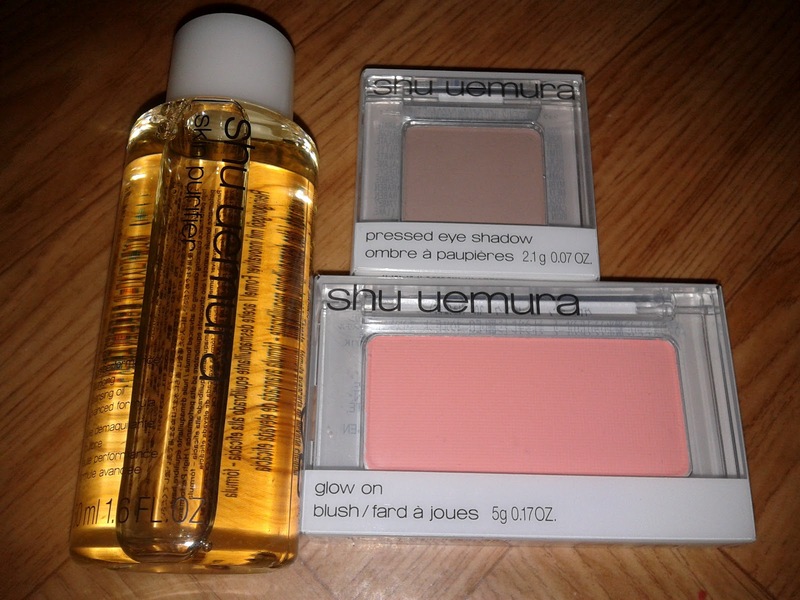 I only bought 2 items at Shu Uemura, because I got an eyelash curler and concealer when I was in HK before. I did get a sample of cleansing oil for me to try. First thing I got was a blush. I've been looking for an everyday blush, and I instantly fell in love as soon as the sales guy put it on me! I've read pretty good reviews on the Glow On blushes, so I was eager to try it. The Pink 30 is a matte peachy pink blush. 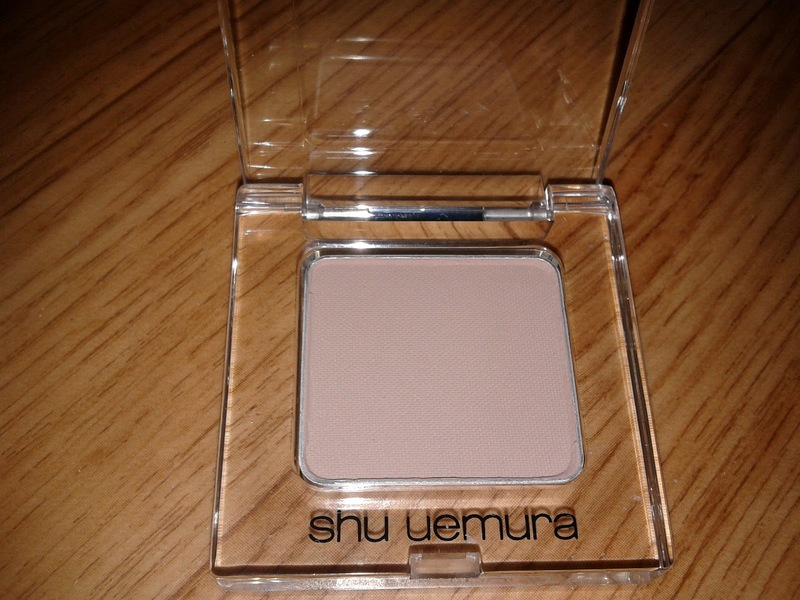 It's a subtle, everyday blush and has a good color pay off. I'm always quite hesitant to try a pink blush, but I must say that this blush complements my yellow undertones very well. All good and well, but there is one downside to this product: it's quite pricey! You get 5g, but I'm someone who doesn't use blush every single day, so I can see it as a little investment. Normally I can use this goodie for about 2 years, if not longer! 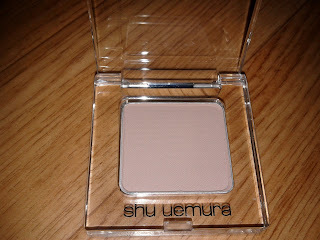 Then we have our second Shu goodie: our eyeshadow. It's a taupe eyeshadow which I can use all over my eyelids or put it in my eye socket. A simple eyeshadow, but again.. since I don't use make up on a daily basis, I'm sure I can use this eyeshadow for a VERY long time. Since I only got these items yesterday, I haven't gotten the chance to properly use the cleansing oil. As soon as I've tried it a couple of times, I'll be posting a review on it here. 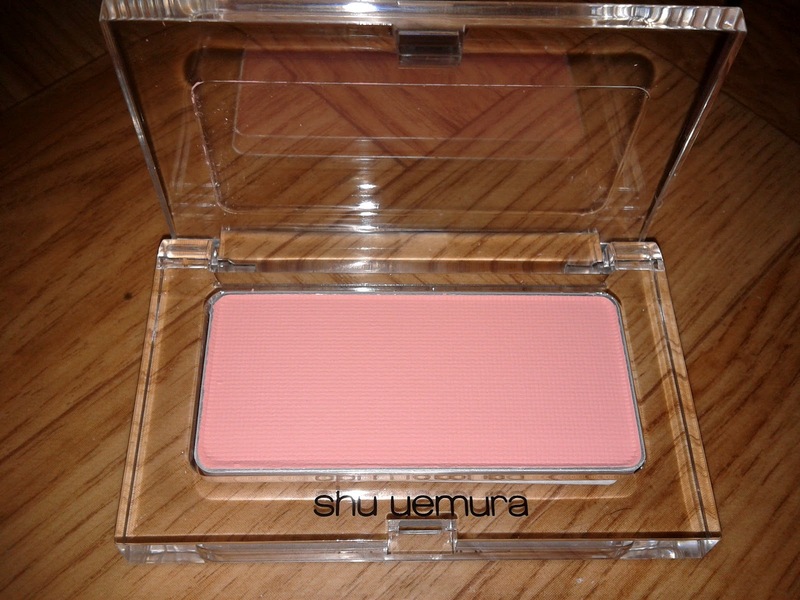 I don't own a lot from Shu Uemura: I own an eyelash curler, Pro concealers, blush and an eyeshadow. I have to admit I really like their products. Yes, they are on the pricey side, but the quality is definitely there. I'm not someone who buys these high end items every month. The Shu Uemura goodies are my only expensive products. Next to these I mostly own drugstore goodies.